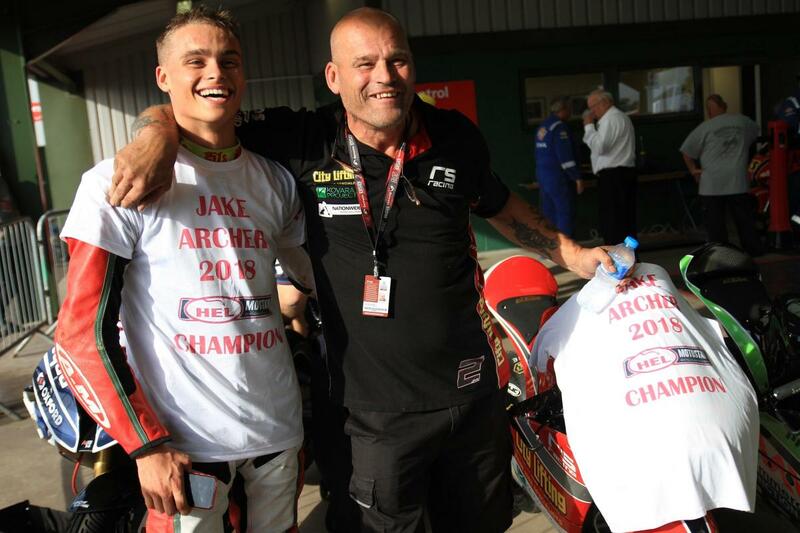 It’s third time lucky for Team City Lifting’s Jake Archer as he takes the British Motostar title with an unbeatable 330 point lead before the championship has even finished. After coming runner-up for the past two years, Team City Lifting’s Jake Archer has officially won the title of the Moto3 Hel Performance British Motostar Champion 2018! With only one round to go, Jake Archer has secured his victory leaving rival Storm Stacey in second place after a double win at Oulton Park. Jake became City Lifting’s second British champion with Tom Booth Amos clinching victory in 2017. And there is still a strong possibility of a double victory for the City Lifting Team Lifting, as Archer’s team mate, Jake Scott, has a genuine opportunity to steal the second place from Storm Stacey in October’s final round. The Brands Finale is on 12-14th October, when Team City Lifting will be there to celebrate the end of another excellent season.